Established in 1983, Merten Marine LTD is a second-generation family business. The primary business is marine maintenance, service, and repairs located in Oshkosh, Wisconsin. The business expanded into an online shopping website in 2006 of Mercury Marine products. Merten Marine LTD offers convenient and individualized solutions to your boat maintenance and repair needs. We have over 35-years in the marine business serving boaters in Northeast Wisconsin to worldwide with the quality service our customers deserve and expect. We value our customers and find satisfaction solving boating issues. Our factory-trained and certified expert team possess the experience and technology to professionally serve you. Merten Marine LTD annually invests in its employee education with the latest technology and advances in the boating world. 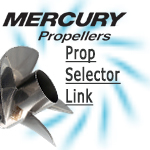 Propellers that have an all-around proven record in consistency and performance according to propeller expert Jim Merten Jr. are commonly the Bravo 1XS, Bravo 1FS, Spitfire, Tempest Plus, and Trophy Plus with an all-around favorite being the Revolution 4 dependent on horsepower and its use. Because of his years of experience in creating, casting, grinding, and repairing propellers Jim Merten Mr., President, has the edge in providing key solutions for best performance. Merten Marine Ltd is a great supporter of youth education and works with the local high schools offering students skilled learning opportunities about boat/engine mechanics. Merten Marine LTD was a proud sponsor to enable an Oshkosh North High School student to compete in the invitational only SkillsUSA National Conference in Kansas City, Missouri in 2013.